A San Diego arts duo keeps on keeping on, an ambitious local app for short fiction calls it quits, and a popular cafe falls victim to South Park’s ever-escalating rents in this week’s roundup of the region’s arts and culture news. While the rest of us are recovering from holiday-induced food comas, Johnny Tran and Paul Ecdao are busily planning their next art show. The founders and curators of Thumbprint Gallery in La Jolla hold monthly art openings on the second Saturday of every month and haven’t missed one since they launched the first iteration of the gallery in North Park in 2009. The tireless duo also hosts regular pop-up art shows at Bar Basic in the East Village and curates the art you see hanging at a handful of coffee shops, ice cream stores and salons around town. The two work with a range of San Diego artists – from emerging to the more established. In the early years, they focused on graffiti and street art, but have since expanded to illustration, pop surrealism and some abstract art. San Diego artists like Bd Dombrowsky, Pamela Jaeger, Brandon Roth, Nonie Cruzado have shown their work at Thumbprint Gallery over the years. 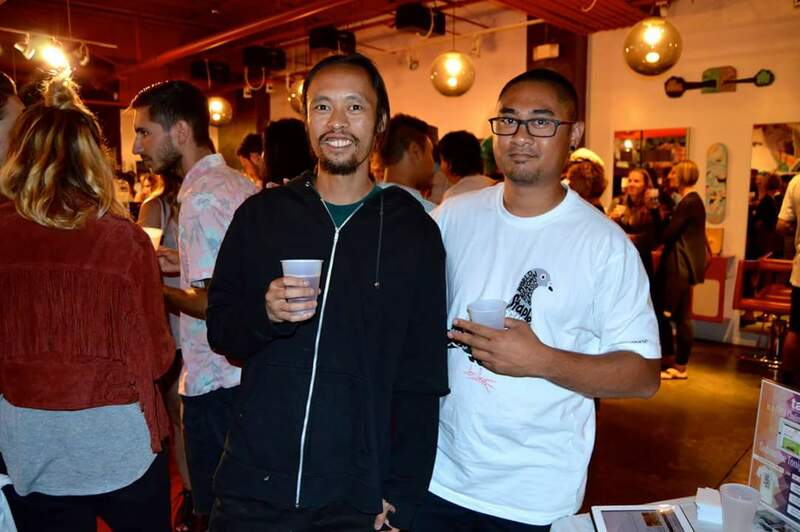 At their busiest point, Tran and Ecdao were running three art galleries – one downtown, one in Hillcrest and one in La Jolla. But showing and selling art by San Diego artists is just Tran and Ecdao’s side gig. Both have always relied on full-time day jobs to pay the bills. A few years ago, they decided to slow their roll just a bit. They closed two gallery locations and focused on the La Jolla spot. It’s just a few hundred square feet, but that’s where most of the sales were happening thanks to La Jolla art collectors and tourists with money to burn. Since zeroing in on La Jolla, the two have helped start the monthly Village of La Jolla Art Walk, a self-guided tour of the artsy hotspots in the neighborhood including Thumbprint, Misfit Gallery and others. The next one is happening Jan. 13. Tran and Ecdao make commissions on the artwork they sell at their gallery and everywhere else they show art. They said they can sometimes pay the gallery’s rent and make a little profit. Other times, they’ve had to invest their own funds to keep things going. The duo said sales are picking up after a dismal year, for most of 2017. They’re showing no signs of slowing in the new year. Rather, they’ve added another new monthly art night at Bar Basic that will include live painting by a rotating cast of local artists and a live interactive video piece by San Diego video artist Xavier Vasquez. 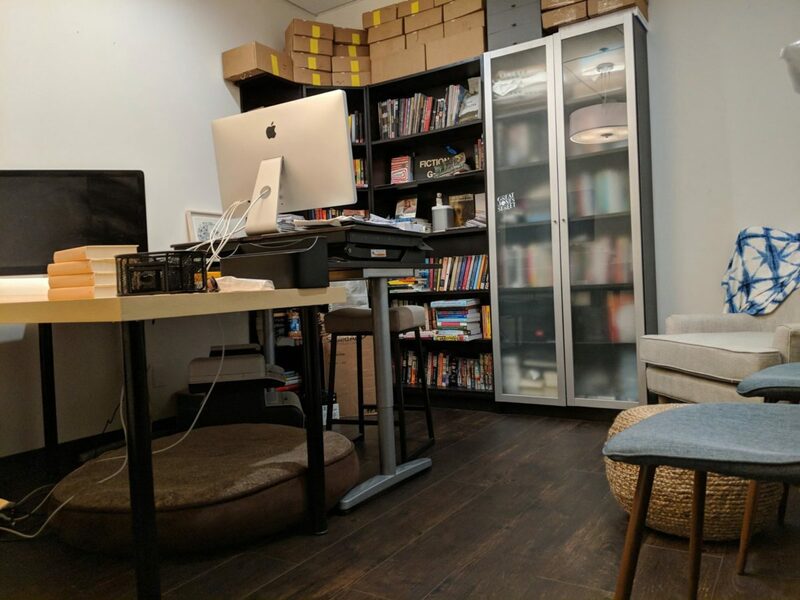 In a Facebook post followed by a mass email, San Diego entrepreneur Kelly Abbott announced he’d be closing Great Jones Street, the short fiction smart-phone app he created. Launched in October 2015, the app became the largest buyer of short fiction annually. The app served subscribers new, hand-picked short stories daily. Hundreds of established and emerging writers across genres sold work to Great Jones Street. But not enough people paid for a subscription to the app. In his Facebook post, Abbott said he just couldn’t make it work. Abbott said the app never got enough subscribers to sustain even just operational costs, and he could either invest more money in the business himself or shut it down. Rebecca’s Coffee House in South Park has been a community hub for 25 years, but rising rent has caused its owner to announce the cafe’s closure at the end of the year. 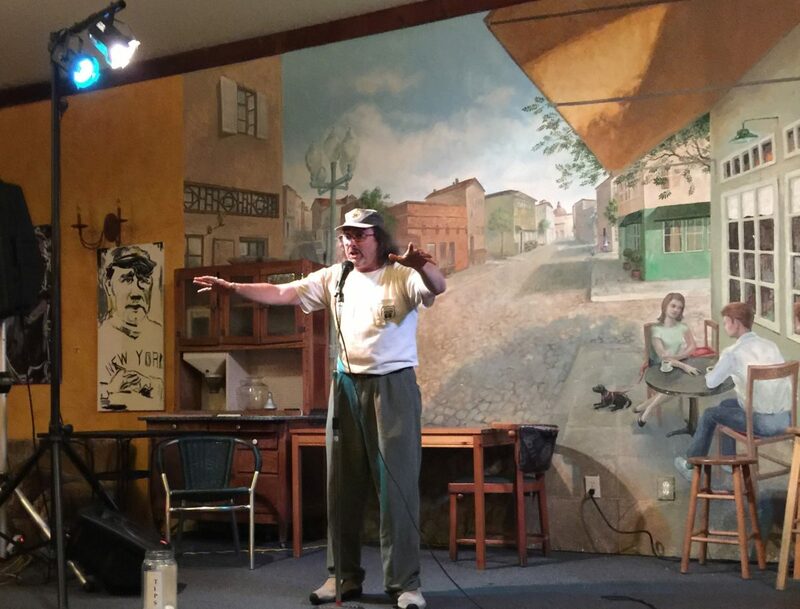 The cafe includes a small stage that’s hosted countless free poetry readings, live storytelling events, open mics and musical performances. The Storytellers of San Diego literary group has performed at Rebecca’s for four years. Mindy Donner, one of the group’s’ organizers, said the nonprofit had to hustle to find a new home for their monthly events. Luckily, the nearby Eclipse Chocolate Bar and Bistro in South Park agreed to host their upcoming Jan. 3 event. “One small epoch finishes, and another begins,” Donner wrote in an email. She said the group isn’t sure where the group will perform next month. Rebecca Zearing, the owner of Rebecca’s Coffee House, said in a public fundraising campaign that her landlord increased rent to a price she couldn’t afford. Zearing has so far raised $15,249 of her $30,000 goal, which she said would go to reopening the cafe in a new location. • San Diego writer Lizz Huerta bemoaned the gentrification of South Park and Golden Hill in a new piece for the literary magazine Winter Tangerine. I’m a big fan of the street performers, or buskers, in Balboa Park. One of my faves was John E. Anderson, better known as “Big Slim,” a guitar player who often posted up in front of the San Diego Model Railroad Museum where he belted out his version of classic blues and rock songs. Longtime Balboa Park performer “Big Slim” died on July 19, 2017. I took my kids to hear Big Slim often. Lately, though, there’s been no sign of him at the park. With a little digging, I discovered that I missed the sad news that he passed away in July. 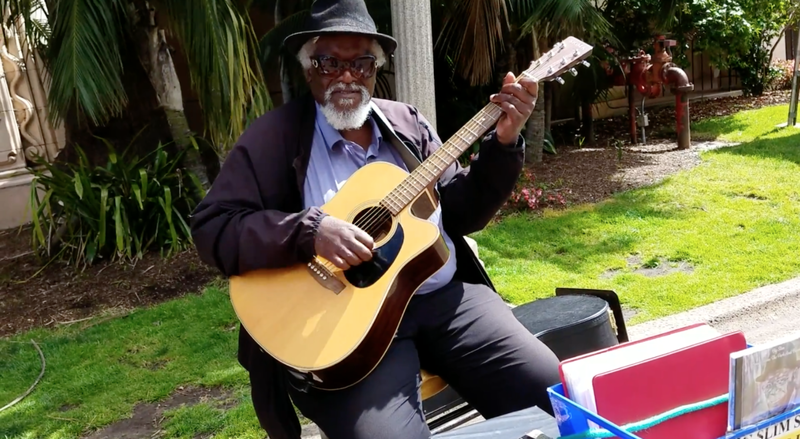 You can hear Big Slim talk about some of the permitting problems that buskers have in Balboa Park and other parts of San Diego in a Culturecast podcast episode I produced in February. • The work of Tijuana artist Shinpei Takeda and San Diego artist Andrea Chung is mentioned in this Los Angeles Times story about two exhibitions that explore the Asian immigrant experience in the Caribbean and Latin America. Both shows are part of the Getty’s “Pacific Standard Time: LA/LA” initiative that has enrolled dozens of museums and institutions in staging exhibitions about Latin American and Latino art. • The California Center for the Arts, Escondido, is home to a new piece of public art. It’s a mosaic by Robin Brailsford, Wick Alexander and Doris Bittar. • A Reason to Survive, the arts nonprofit in National City that had to temporarily suspend operations, announced it would be reopening in January. • The NTC Foundation’s end-of-the-year update includes info about a planned 300-seat theater for dance, music, theater and film in the former Navy Base Exchange in the heart of the Arts District Liberty Station. • U-T editors and writers rounded up their favorite arts and culture news and moments from the past year. Arts and entertainment editor Michael James Rocha rounded up five visual arts highlights, theater critic James Hebert picked his most memorable theatrical moments and freelancer Beth Wood listed her top five classical music highlights from 2017. • If you’re looking for something to do for New Year’s Eve, CityBeat’s got a guide for you. • Learn about the seven principles of Kwanzaa in a community play in Oak Park. • The Watoto Children’s Choir, a group of 18 orphans from Uganda, is performing in Chula Vista Friday. • If you’re obsessed with the music from the wildly popular “Hamilton” musical, this event is for you. • San Diego’s food scene is exciting, according to Zagat. • National City is getting a new community garden. • The Union-Tribune has the details on Punch Bowl Social, a 24,000-square-foot restaurant, bar, bowling alley, karaoke hall and game arcade scheduled top open in the East Village in March. • The Holiday Food Truck Festival is happening in Balboa Park on Saturday.